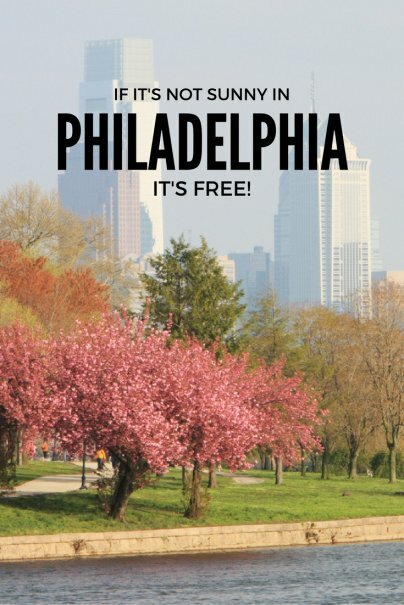 If It’s Not Sunny In Philadelphia, It’s Free! Home » Personal Finance » Cars and Transportation » If It’s Not Sunny In Philadelphia, It’s Free! What’s it good for? By booking your summer vacation package (for departure between July 1st, 2008 and September 7th, 2008) now, you can get in on this deal! Get your trip to over 100 vacation destinations finalized before July 17th, and be sure that it is between 3-8 days long (travel dates included.) You must also be sure to book at least 12 days in advance. What’s the Guarantee? If it rains more than ½ inch total accumulation on each of at least half the days of your vacation, your trip is free! So if you are vacationing for 3 days, you must have rainfall on 2 days. If you are traveling for 8 days, it must rain on 4. (Get it?) Your cost of airfare, hotel stay, rental car, attractions booked through Priceline, and all taxes and fees are included in the refund. Who keeps track of the weather? Priceline, of course. And while you can use your own rain gauge or a trusty meteorologist to keep score, Priceline will keep tabs on the rainfall (provided by the National Weather Service) for your destination. Rainfall will be updated periodically via a special link, and if the moisture measures up, your refund will be automatically sent to you. Is Seattle included? Were you going anyway? I wouldn’t make a special trip in hopes of getting something for free (it’s been a wacky year, after all.) But if you’re headed somewhere special and can’t decide on an online booking provider, this may be the way to go. Getting rained out is no fun, but even a week stuck in a hotel can be relaxing if it’s free! Planning the perfect vacation is something that crosses your mind while you work, and the last thing you picture in your perfect vacation is rain. But, it's nice to know that your vacation is "insured" and you can get your money back if some clouds decide to "shower" you with love. I wish you all a lot of sun on your next big trip! Mouse Print already blogged about it last Monday: http://www.mouseprint.org/?p=457 Their conclusion: don’t count on a free trip. Mouse Print and GTwise pretty much confirmed my sentiment that this is not something you would gamble on if you weren't already traveling anyway. My point was to give you an option if you were faced with making the decision of which of the many online travel bookies to go with. My last travel purchase was basically the same price at Priceline, expedia, travelocity, etc. etc... this guarantee, however, would be enough to turn the tables on an already very level playing field. My job is simply to report the details and give vacationers another interesting option in the world of online price guarantees. If you're just looking to get a free trip, consider visiting a timeshare pitch. I could understand you being bothered, but when I've been there, it always WAS raining. Of course, this is ideal for me, because Nebraska seems dry much of the time, and I love a good rain! Also, I think that the "rainy" reputation of Seattle is brought about by the type of precipitation. It drizzles much of the time, over an extended period, although the accumulation is less than other cities (New York). I bet if all the rain fell at one time, it wouldn't be as noticeable. Oh, c'mon. Don't you remember a couple winters ago when it rained for 90 days straight? It's rainy here. Love it, live with it, embrace it.